News » Scarlett Johansson to see Black Widow bring together The Champions? Could we see her bring together The Champions? While the Marvel Cinematic Universe has managed to please millions of fans all over the world for many years now, there has been one thing which fans have been calling for them to do for a very long time now, which has still yet to happen. 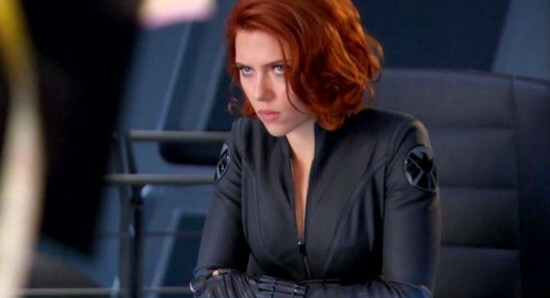 Following her impressive performances as Black Widow, the Marvel movie fans have been calling for Scarlett Johansson to get her very own Black Widow movie, which has been much discussed. Just recently, it was suggested that we are finally going to get to see Scarlett Johansson getting her own Black Widow film, while there have been other suggestions that we could actually see Black Widow being killed off in Avengers 4. Well, if Scarlett was to finally get that Black Widow project, could it actually see her bringing together a new big screen Marvel team, The Champions? Having Scarlett Johansson appearing as Black Widow in a The Champions project would not only give fans the Black Widow movie they have been craving, but it would also be a great way to introduce some new Marvel characters to the Marvel Cinematic Universe. Now that the X-Men are going to get introduced to the MCU, The Champions could be a good way to bring a couple in, since Angel and Iceman are both members of the team. The Champions could also be the perfect way to introduce another strong female Marvel character, Darkstar. With that said, we still do not know what the future is going to hold for Scarlett Johansson as Black Widow in the Marvel Cinematic Universe, so it is all just speculation and wishful thinking, for now.